To preserve resilient waters we need people to contribute their perceptions and creative solutions ideas. By clicking on the below links we invite you to complete a water quality survey and compare your responses to what others have said (see the Willingness to Pay report). By clicking on the crowdsourcing solutions link, you will enter a social media platform that invites you to pose solutions and comment on other's ideas. These results will inform VT EPSCOR and many others in our region pursuing new ideas that contribute to water quality goals. You are invited to participate in a study regarding the value that Vermonters place on the quality of Vermont’s water bodies. 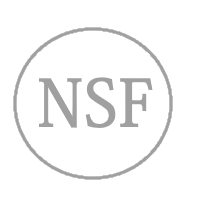 This survey will provide us with your opinions regarding tradeoffs related to funding water quality improvements in the state. Thank you for taking the time to help us better understand these issues! Join the discussion now! Your input is important! The success of CSS2CC.org is dependent upon maximizing engagement with stakeholders to develop and refine adaptation intervention strategies from all sectors – environment, economic, and societal - to balance and account for competing values and improve and sustain the health of the Lake Champlain Region. 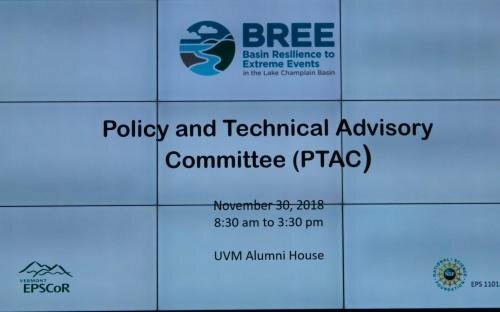 The VT EPSCoR Policy and Technical Advisory Committee (PTAC) Fall Meeting was held on November 30th, 2018. The biannual meetings offer a space for policy makers, decision makers, researchers, federal agency representatives, town and local officials from around the state and region to convene and take an active role in interactive sessions surrounding the Lake Champlain Basin. 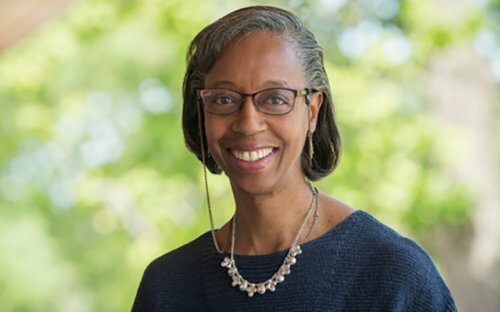 Dr. Lesley-Ann Dupigny-Giroux. 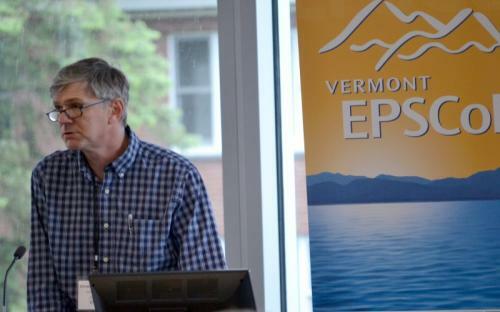 The professor and Vermont State Climatologist was selected from nearly 200 experts to serve as lead author of the Northeast chapter on the national report. 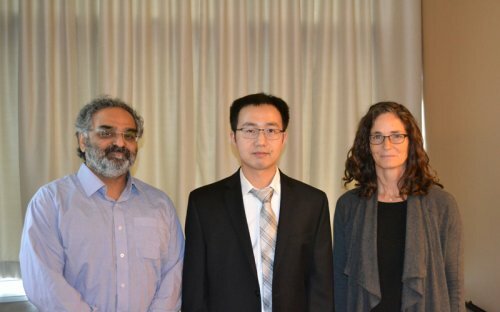 Linyuan Shang, Graduate Research Assistant (GRA) with Vermont EPSCoR, successfully presented his PhD defense on Monday, October 29, 2018. 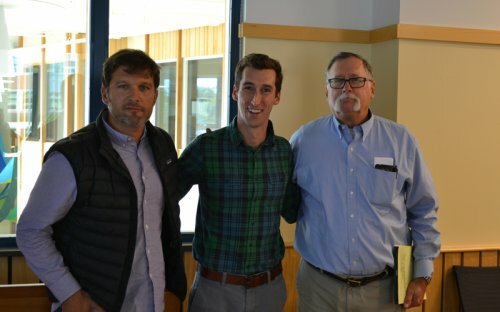 Matthew Vaughan, RACC Graduate Research Assistant (GRA) with Vermont EPSCoR and now member of the BREE Political and Technical Advisory Committee (PTAC) as a Technical Coordinator with the Lake Champlain Basin Program (LCBP), successfully presented his PhD defense on Friday, October 19, 2018. 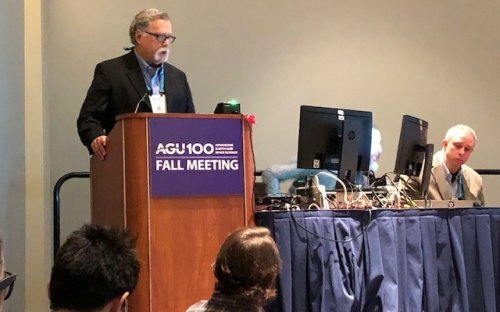 How do the biophysical configuration, antecedent conditions, and ongoing changes in climate and land-use within the Basin’s terrestrial and aquatic ecological system interact to impact the response of water quality to extreme events? What strategies for resilience can be implemented to manage the risk from extreme events and what are the trade-offs for prioritizing public sector investments? Determine how the frequency, intensity, and spatial scaleof extreme weather events will change this century. Identify what local climate feedbacks will evolve throughaltered surface reflectance and moisture fluxes. 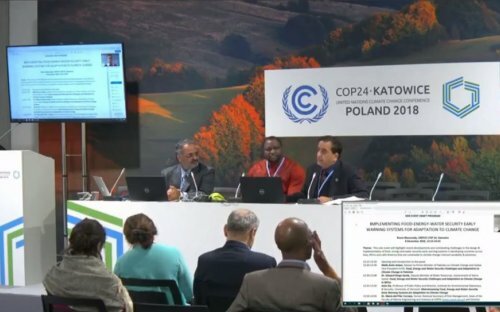 Incorporate climate scenarios into the Integrated Assessment Model. Increase the size of the Vermont STEMworkforce byintegrating studentsand teachers into research. 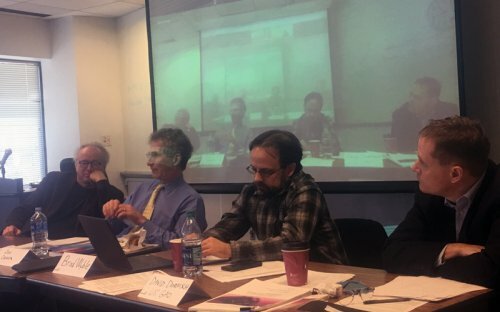 How do governance networks, institutional rules, macroeconomic indices and resource allocation decisions respond to extreme events, and how can this knowledge be used to design public policies and governance networks that enhance resilience across the Lake Champlain Basin? The VT EPSCoR Center for Workforce Development and Diversity works to cultivate and prepare students in science, technology, engineering and math (STEM) fields. Through integrating students and teachers into active research we inspire students to pursue STEM careers. 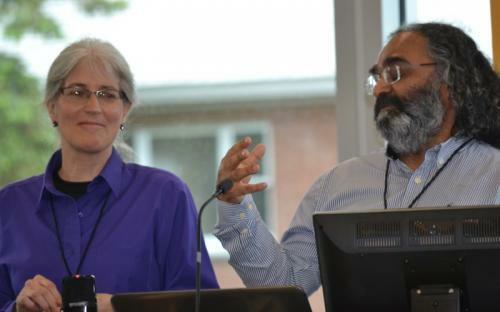 The CWDD helps connect interested students in social science and STEM areas with faculty researchers throughout Vermont at multiple institutions. 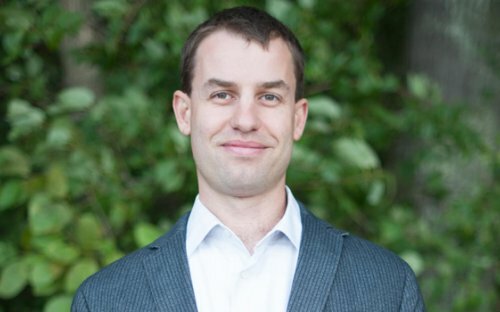 To develop an integrated network of advanced water sensors to acquire real-time, high-frequency water quality data that will advance our understanding of the drivers of local and regional water quality, and in concert use the fields of experimental economics and agent-based modeling to determine how stakeholders as individuals and groups respond to this new technology. 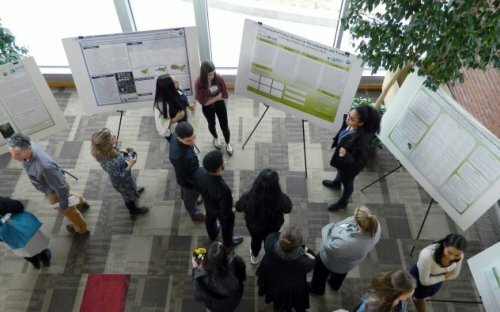 The SEGS lab uses games and simulations to model complex Social Ecological Systems (SESs) to better understand them, and ultimately to inform public policies about them. 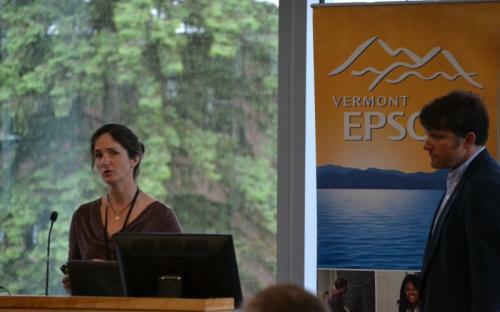 The Vermont EPSCoR Video Archive showcases the work accomplished during the BREE and RACC grants. 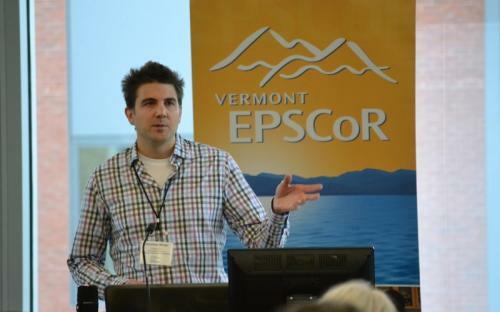 The annual Vermont EPSCoR magazine provides you with a glimpse of the important initiatives that many individuals are moving forward in Vermont through collaboration, team science, education and transdisciplinary research methods.